Lanes on Interstate 5 will be closed next week to replace portions of the highway shoulder between Oceanside and Orange County. Lane closures will take place Monday and Tuesday, 8:30 p.m. to 5 a.m. and Friday from 10 p.m. to 8 a.m. The highway can be reduced to one lane in each direction after 11 p.m. The on- and off-ramps at Las Pulgas Road will be closed Monday-Friday from 8 p.m. to 5 a.m. Motorists are reminded that the maximum speed through a construction zone is 55 mph. These limits are set for the safety of motorists and for the work crews. 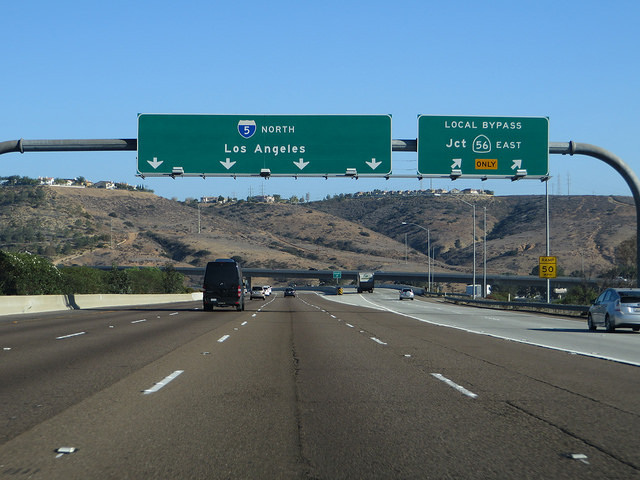 Motorists should expect delays during work hours and it is suggested they check Caltrans Quick Map online at quickmap.dot.ca.gov for the latest freeway traffic information before traveling. Real-time cameras are placed throughout the project to view the work and current highway conditions here.